Quantity can be increased in the shopping cart! Sizes are subject to availability. 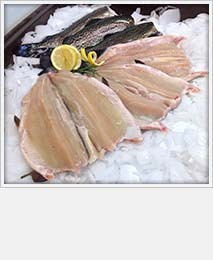 Fish is a wonderful source of protein, vitamins and minerals, and is naturally low in calories. 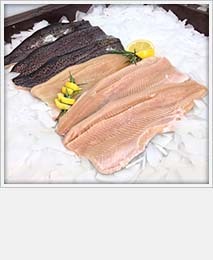 Rainbow trout is an excellent source of safe omega III fatty acids. USDA recommends two meals per week of Omega III's. Why not make one of them trout? 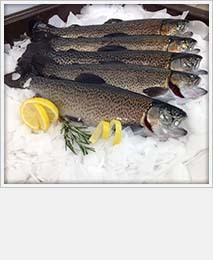 Considering all fish species, farm-raised rainbow trout contain one of the highest levels of EPA and DHA. 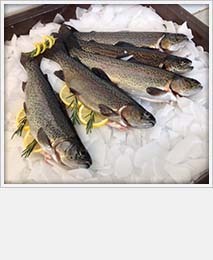 Only about 3 ounces of farm-raised rainbow trout are required to gain 1 gram of EPA and DHA. 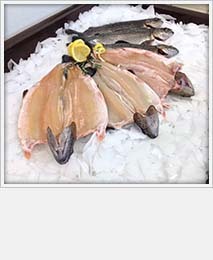 In contrast, intake of 23 ounces of Pacific cod, for example, is required to gain that same gram of EPA and DHA. 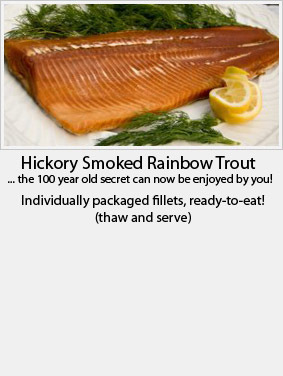 About two meals (8.4 ounces) of farm-raised rainbow trout will supply the minimal weekly requirement of EPA and DHA. 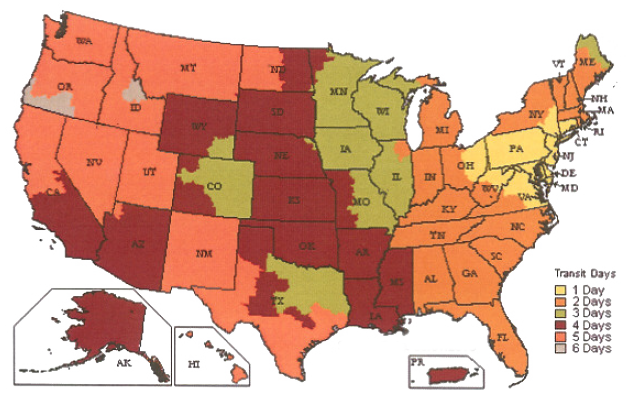 Click on the above map to enlarge!